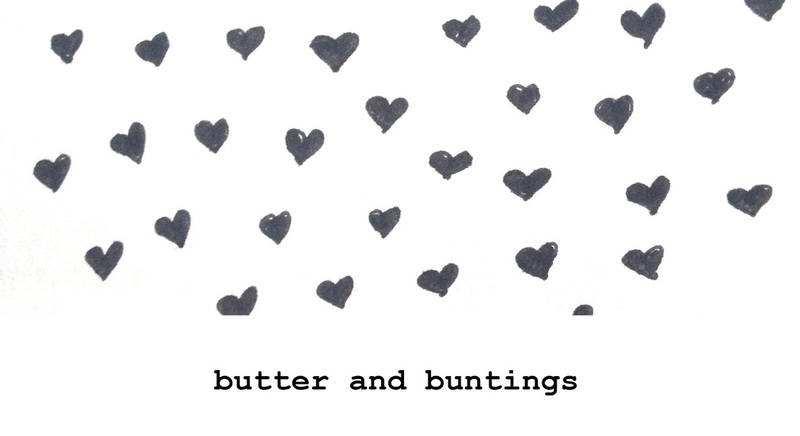 Butter and Buntings: Dresses, more dresses and finding a new (very new) blog to read! Dresses, more dresses and finding a new (very new) blog to read! I've been sewing myself more dresses. I think I have an addiction. I'm finding the whole dress making thing so rewarding and pleasurable. From choosing a pretty fabric or sheet, to picturing it on, cutting, sewing and adding little details. I'm really loving it. I'm starting to think I really don't need all the dresses I am making, so maybe when I feel really confident I might sell some. Until then, I'm enjoying wearing something that actually fits and that I actually finished. The first one was made from two different but same sheets. Same design, different colours. 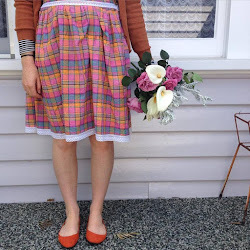 I gathered the skirt as well which is a new skill I have learnt..thanks mum! I made it breastfeeding friendly (yes still going strong), so the straps up the top undo on the shoulder with this very pretty vintage button. This next dress was alot of fun to make. My sister in law Ash and I had a sewing day together. We both made dresses, ate soup, ate chocolate, discussed our hatred for sewing(needles breaking, sewing the wrong side, thread getting stuck, not ironing hems then regretting it, you know those parts) as we got excited to see our finished products. Us in our new handmade dresses..hooray! Now now, Ash is'nt just a dress maker, but she blogs, and has just created a new blog called The Squee which I am very excited about. Yes she has blogged about my magazine Hundreds and Thousands (which is now for sale online) but that's not why I am excited. Ash has a way with words. 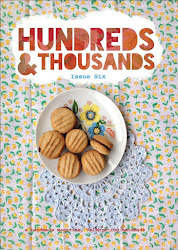 She LOVES craft, cooking, opshopping, basically everything I love and I know you, my readers would love. So, this afternoon, with a cup of tea, perhaps add her to your blogroll and say hi! Ok, it's 9.41 am. I should eat brekky. I had a tooth pulled last friday and am slowly getting back into eating solid food. Fun fun!! Gorgeous dresses, would love to try making up some of my mum's 60/70's patterns. Very inspiring, enjoy wearing them.